Should you be in search of a conveniently located maintenance free townhome, look no further. Right off of the Suncoast & SR52 in Lone Star Ranch is this 2 Bed 2 1/2 Bath Townhouse with a den, located on a conservation lot & with rear extended screened lanai. 9' ceilings greet you as do engineered hardwood floors throughout, when you enter this townhome. Offered is a den, office or library located on the right off of the entrance. From there you land into the living/dining room combination, great for get togethers & time with guests. The kitchen features granite countertops with plenty of cabinetry, a breakfast bar for those quick mornings & a 1/2 bath conveniently for your guests. The rear covered lanai & patio area is screened & completes the 1st floor with conservation view for the weekend barbecues. Back inside & traveling to the 2nd floor you will find the Owners Bedroom with Private en suite featuring granite counters & a walk in closet. The 2nd Bedroom features a private full bath with granite counters, a walk in closet & a view of the pond to the rear. With low HOA & no CDD, this Gated Townhome Community has a pool with recreational facilities & is maintained exteriorly for you. There's access to the Suncoast trail should you bike, exercise or enjoy utilizing the features of the Trail. 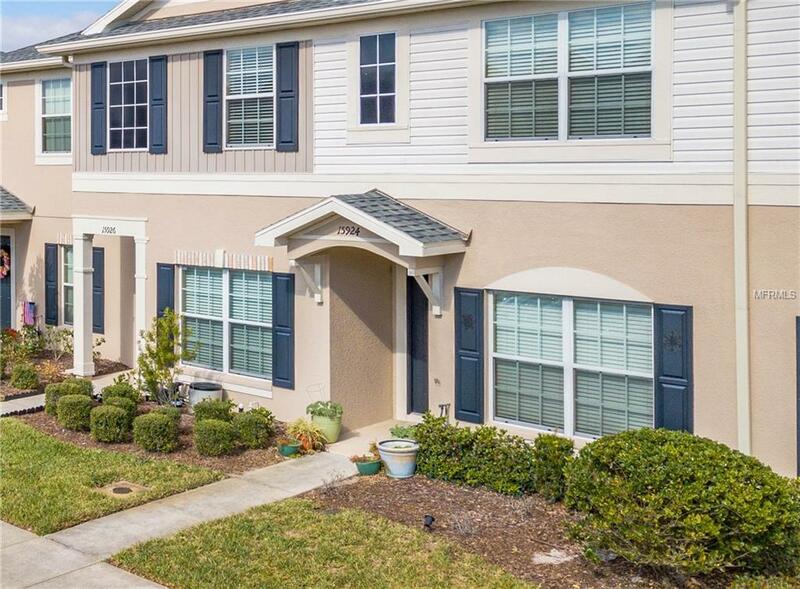 All together, a 30 minute commute to Tampa International Airport & Mall along with no chores outside of your walls, makes this Standard Pacific built townhouse worth the visit. Schedule a private tour today! Listing provided courtesy of Freyre Real Estate, Llc.